No one can escape it. Unless you live on a deserted island somewhere in the middle of the South Pacific, you experience stress on a daily basis. Its impossible to avoid. Many people who find it difficult coping with these issues turn to medication for a solution. Unfortunately, medication can become a double edged sword. While it may provide a temporary fix it generally doesnt last. In fact, medication could ultimately impact the overall picture by adding addiction to the list of stress factors. So whats a person to do? Thats the question that Mary Havelock answers in Meditation, Motivation and More. Before you conjure up an image of a bald, red-robed guru-like person who approached you in the airport, think again. Meditation is no longer lumped into the category of weird religions or reflective of the hippy movement of the 60s. So what can you expect from Meditation, Motivation and More? Well, what you shouldnt expect is a bunch of esoteric jargon that only makes sense to a high dollar psychologist. You can be, do and have more. Learn how beginning right now! You owe it to yourself to have the tools on hand and build your self-esteem. Dont wait another minute. Change your mind and change your life! 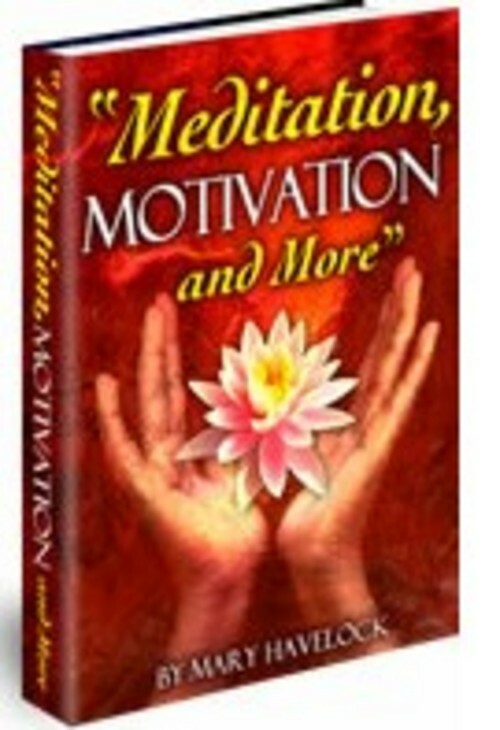 Grab your own personal copy of Meditation, Motivation and More and change yours right now. A whole new world is just a click away!